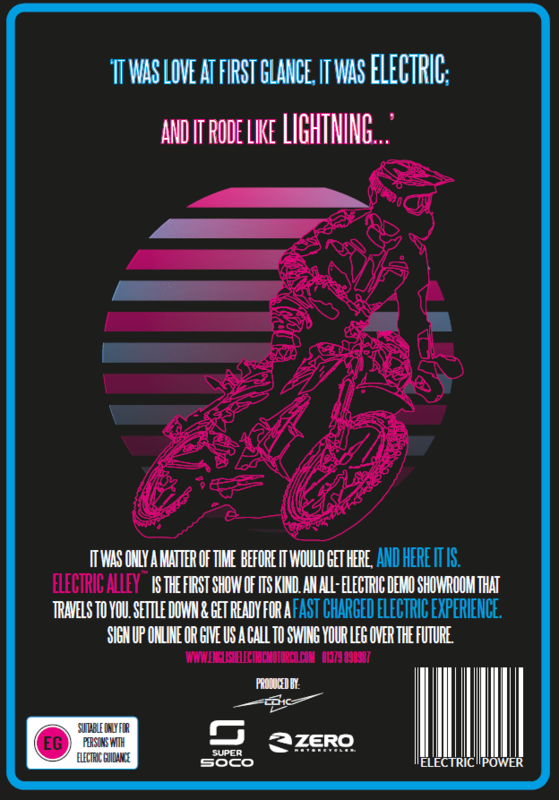 We would like to personally invite you to the very first Electric Alley event. 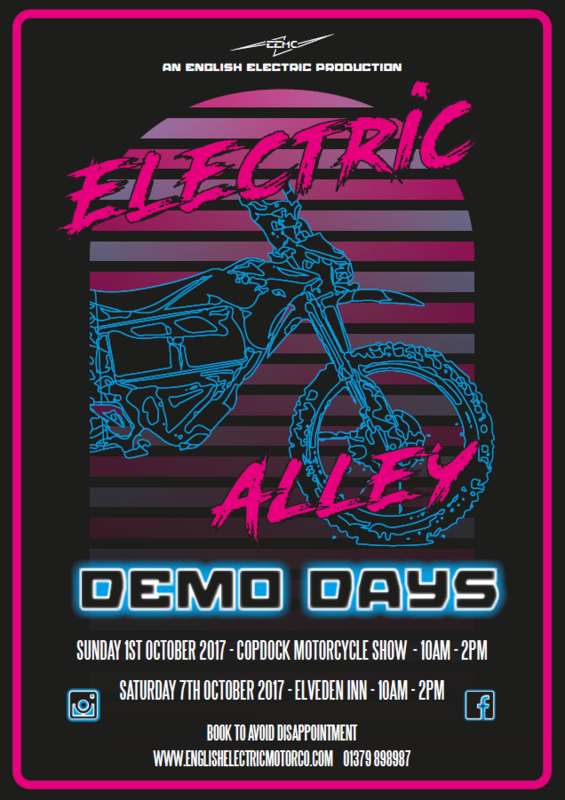 We are hosting our very first, Electric Alley even on the 1st of October at Copdock motorcycle show and 7th of October at Elveden Inn in Thetford! We will be showcasing 3 models of the new Zero motorcycles range, the FX, an S 11KW and a DSR alongside two of the new learner legal Super Soco’s. All models are available to demo between 10am – 2pm both days so come and have blast! There will be a better opportunity to try the motorcycle out on the 7th as it will be on the road rather than just around the show ground at Copdock. Elveden Inn also offers some great food and drink too and you are just down the road from Go Ape if the kids wants to come! Some other great news is that Tesla should also be bringing some of their fantastic cars along on the 7th, possibly even a few demo vehicles too but we are as yet to confirm. You can book your test ride using the calendar below – simply select a date and time, and then get ready for the most electrifying test ride of your life (probably). Also feel free to share about as you see fit, the more the merrier!